Type 2 diabetes among immigrants is spiking, mainly because of a change in diet and physical activity for those entering the country, according to the Canadian Diabetes Association. Windsor's immigrant population is witnessing an alarming rise in the rate of diabetes, according to the Canadian Diabetes Association. 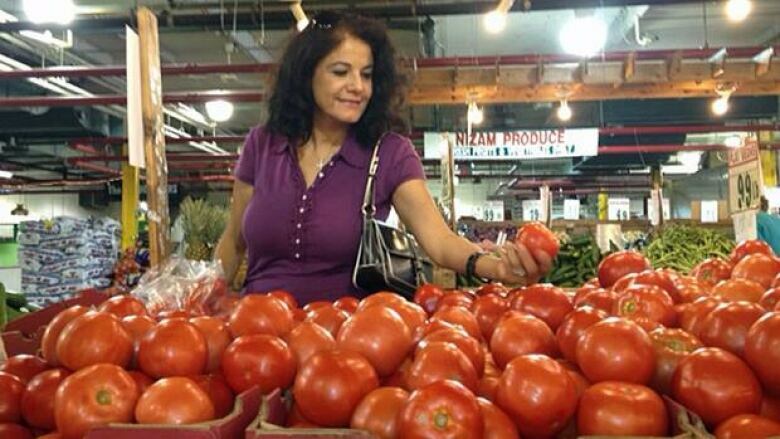 Maha Dabavneh moved from Jordan one year ago and said she was surprised and overwhelmed by how much unhealthy prepared food Canadians consume. "They eat at restaurants, especially fast food and I think this is hazardous. You can't have it all the time, I don't believe in it," said Dabavneh. "You are exposed to a big, big supermarket. I see here that Canada has big supermarkets." Back in her country, she said, everything was freshly prepared every day. She doesn't even own a microwave because she still cooks everything from scratch for her husband and two kids. Dabavneh's parents have diabetes and she always cautions her pre-teens about unhealthy eating. "I told them, 'you see how your grandfather was suffering because of diabetes?' They understand that it's not right to have that much food or sugar," sakd Dabavneh. Certified diabetes educator Kelly Dickson said Windsor's newcomer rate is 22 per cent, just behind Toronto. Type 2 diabetes is spiking, she said, mainly because of a change in diet and physical activity for those entering the country. "When they move to Canada and there's an abundance of food, particularly higher fat foods, they tend to store more of that food and they can gain weight a little bit more easily," said Dickson. The South Asian, Aboriginal and Arabic communities have higher rates of diabetes compared to the Caucasian community, she added. South Asians have a six times greater risk of being diagnosed. Dickson works at the Windsor-Essex Community Health Diabetes Wellness program with Charlene Salmon, who's also a certified diabetes educator. Salmon said 250,000 immigrants move to Canada every year, some of whom already have diabetes. "It's not new to us, and it's been a growing problem," said Salmon. Sometimes, genetics play a role; other times, it could be the way weight is carried on the body, she said. "If you and I were 20 pounds overweight, and I carried my weight in my belly and you carried your weight in your hips and thighs, then I'm going to be more likely to develop diabetes because the weight you carry in your belly impedes how your insulin works," said Salmon. Both Salmon and Dickson work with immigrants by providing information, services and group sessions to help them seek out the necessary help to tackle diabetes. Being culturally sensitive about food and exercise with immigrants in something Salmon said she must keep in mind. "Some cultures, it's frowned upon. They don't want to seek medical attention because they have diabetes because it's not a good cultural thing for them, their family looks down upon that," said Salmon. Health officials say it's important to receive early diagnosis and treatment. "You can't just go to your doctor and they give you a pill and it's fixed. There's a lot of lifestyle modifications that have to go along with that and it's that day-to-day living with diabetes that makes it challenging for people," said Salmon. Windsor Regional Hospital chief of medicine Dr. Joseph Shaban said this is one of the reasons Windsor may have more overweight and obese people compared to the rest of Ontario. "A lot of the people that come to this area are from areas that have low obesity rates, and when they come here they adopt our cultural and dietary habits, and our diets tend to be higher in fat, lower in whole grains, lower in vegetables and fruit," said Shaban. The best way to combat obesity, he said, is through prevention.